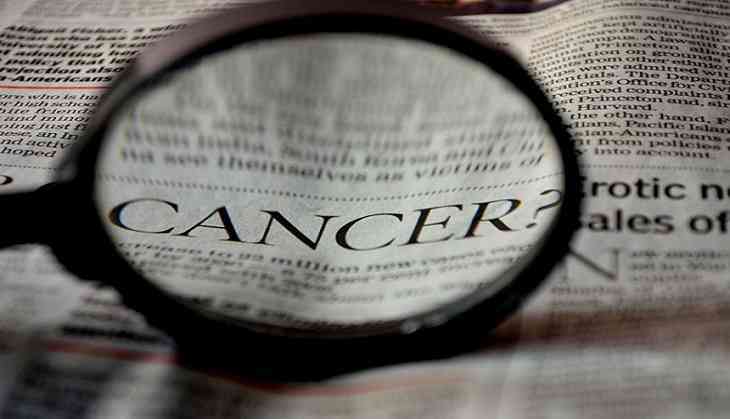 Stomach cancer is among the ten most common cancers worldwide. In India, it stands as the third most common cancer in men as well as women. Therefore, it is crucial that more and more people are aware of stomach cancer and its symptoms, especially now more than ever, as new drugs and treatments that effectively deal with cancer in the earlier stages have come up, which can potentially boost the survival rate of cancer patients. Dr. Zee Ying Kiat, Senior Consultant, Medical Oncology at Parkway Cancer Centre Mt. Elizabeth Medical Centre, Singapore said, "The main stay of treatment for gastric cancer in its early stages is use of surgery, often combined with chemotherapy and in some instances with radiation therapy. This has been the backbone of treatment for patients with gastric cancer." "Significant advancements have also been made with the use of targeted therapies, as well as the more recently introduced immunotherapy. Speaking of targeted therapies in particular, we know that about 10-15% of patients with advanced gastric cancer harbour an aberration in their genetic make-up. For patients with this type of gastric cancer, the use of a targeted therapy in the form of herceptin has significantly improved the patients' outcome, as far as the advanced disease is concerned," Dr. Zee further added. Dr. Majid Ahmad Talikoti, surgical oncologist at Batra Hospital said, "Stomach cancer is the Captain of Death, one of the deadliest amongst all cancers. Abdominal pain, indigestion, nausea, decrease in appetite, etc. are ignored by patients as light cases. These could be symptoms of stomach cancer and it is advised to get a proper check-up done at the earliest. This is even more important nowadays because the treatment for early-diagnosed stomach cancer is now available. With diagnostic laparoscopy in the picture, the symptoms can be correctly interpreted. 80% of cancer patients do not survive because they misdiagnose these symptoms at home and don't realise that it is, in fact, stomach cancer, until it is too late. The next time a symptom persists, it is wise to head down to the nearest medical centre." Dr. Ankita Gupta, DM - Gastroenterology, Sir Gangaram Hospital said, "Gastric cancer is pretty much on the rise in India like other countries. We have been witnessing an increase in the number of patients from states like Jammu and Kashmir and some north-eastern states. While India is equipped with all the advanced tools and techniques for gastric cancer, early diagnosis can lead to complete cure of gastric cancer with use of techniques like EMR and ESD. The early stage cancer can treated through endoscopic procedures even without surgery. Hence, in case of regular stomach, vomiting, blood in vomiting, it is always advisable to get oneself checked from a doctor." "Though the clinical causes of gastric cancer are still unknown, there are risk factors that can increase the chances of getting the disease. Consuming too much of raw uncooked food like uncooked salmon can increase the chances of gastric cancer. If one family member suffers from gastric cancer, members from his/her immediate family should get timely diagnosis done as some components of gastric cancer are likely to run within the family", Dr. Gupta further added.